Yume no Shima (Dream Island) is a large recreation park north of JR Shinkiba Station located on the Rinkai Line to the east of central Tokyo. The park's sports facilities including two track fields, six baseball diamonds and the BumB sports building. There's also a public barbecue space and a multipurpose "colosseum" which is really a large circular grassy field surrounded by trees. It's main attraction for tourists is a large tropical greenhouse that can be seen poking its head above the park's trees from the train line. 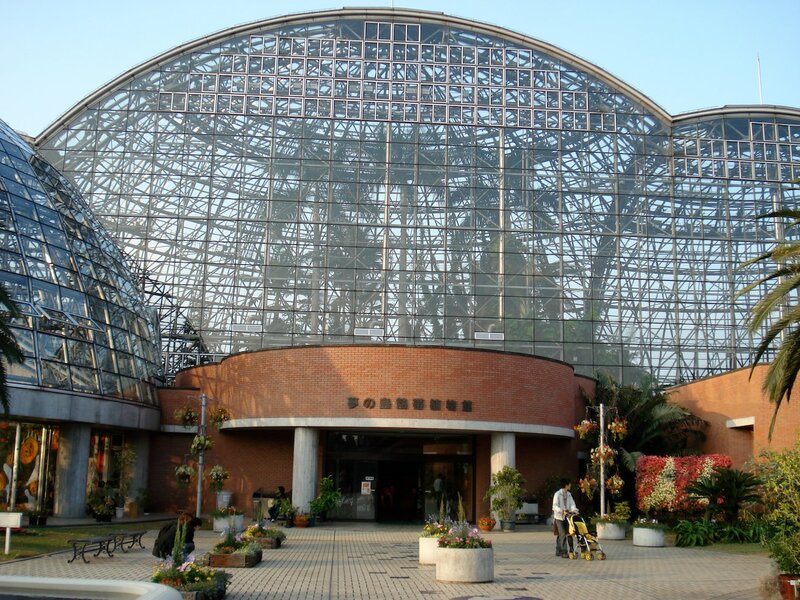 The Yume no Shima Tropical Greenhouse Dome is a surprisingly cheap Tokyo attraction, but, still offers plenty to see. 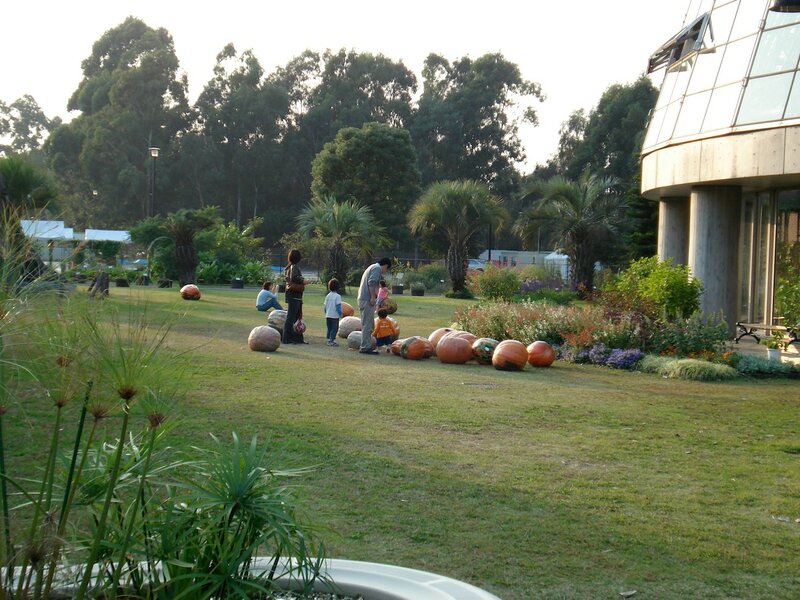 The greenhouse is divided into three connected half domes all featuring different types of plants. Numerous events are held during the year in the event hall to highlight humanity's connection to plants. Interestingly, the greenhouse is efficiently kept warm through the cold winter months by piping in the free heat from the nearby incinerator. 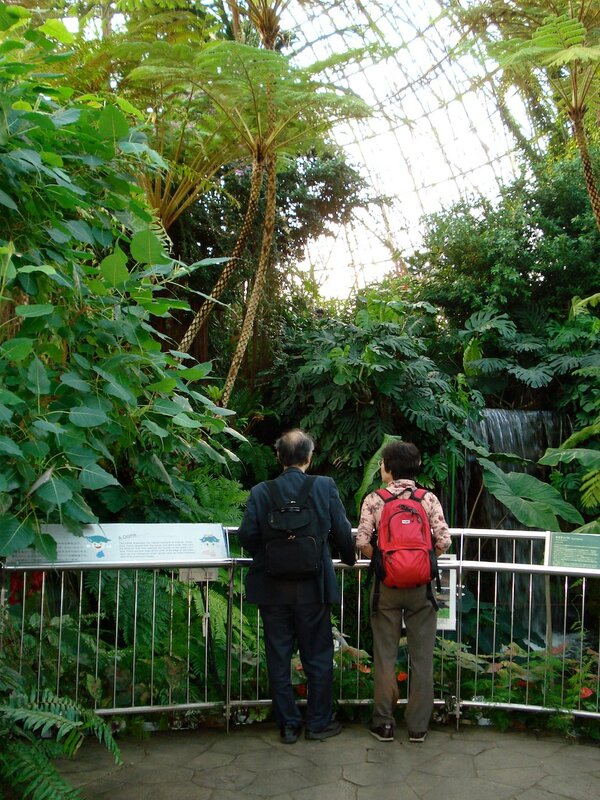 A Dome is the first dome you enter and contains water plants, ferns and other ancient plant types. You can find lots of bamboo in Japan but the giant bamboo in this dome is quite impressive. 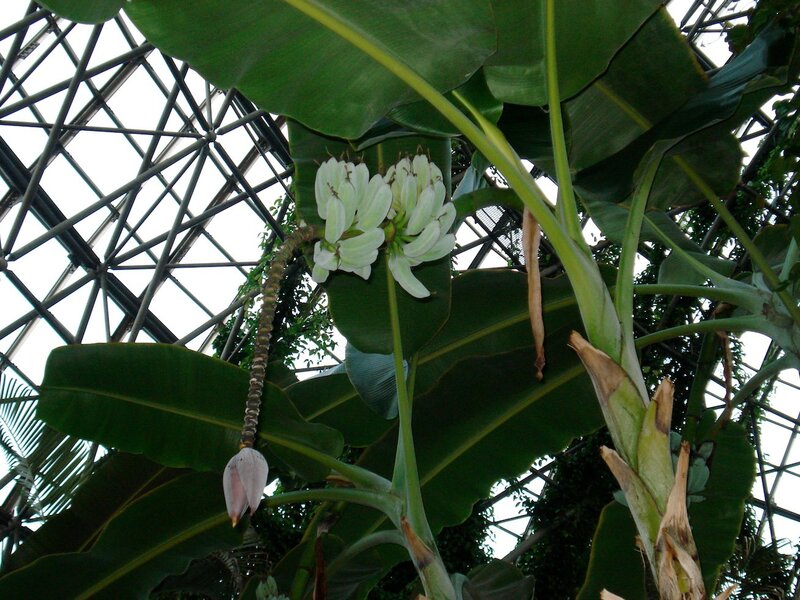 The second and largest, B Dome, is dedicated to plants cultivated in the tropics and palm trees. 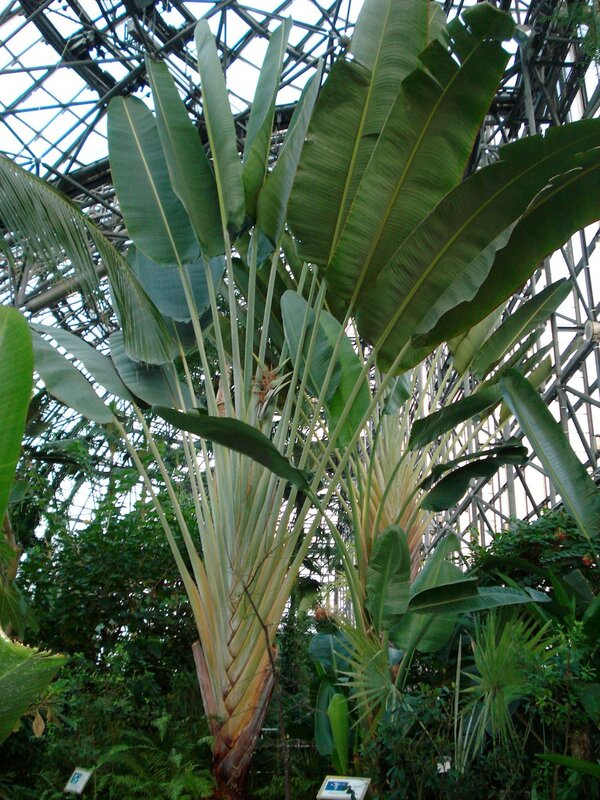 Several displays highlight plants that are sources of foods like cocoa and papaya. Finally, C Dome features plants from the Ogasawara Islands (小笠原諸島) which are 1,000 km south of Tokyo in the Pacific Ocean. 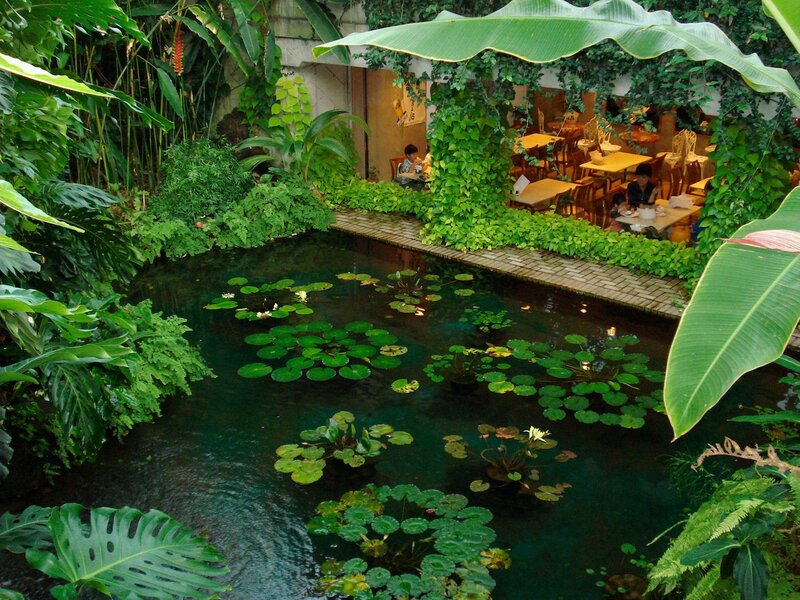 This small group of 30 subtropical islands is actually part of Tokyo. These islands are also called the Bonin Islands in English. The large traveler's tree pictured on the right caps off the domes. There's also a smaller greenhouse with insect eating plants located just outside the main domes. The greenhouse's movie theater shows short 15 minute films that are presented by the building's mascots. The films are in Japanese and aimed at kids but are well produced and enjoyable to watch despite it. Besides the theater, there is a nicely done plant science room, cafeteria (looks out into the greenhouse), event hall and a gift shop. The name Yume no Shima or "Dream Island" arose from all the speculative plans created for this man made island as it sat empty after the war. The construction of the island began in 1939 for a planned airport but war time shortages disrupted this and reclamation stopped after two year. It became a popular swimming beach until Tokyo's government decided in 1957 to dump their garbage problem on it. For ten years, it served as Tokyo's landfill. In 1978, it was reopened as Yume no Shima Park. 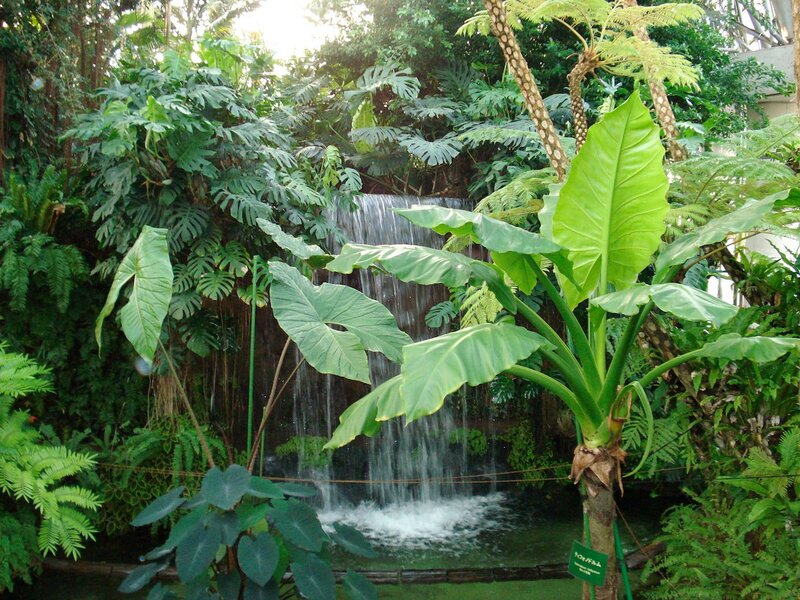 The greenhouse dome opened in 1988 on this island which has become heavily forested. 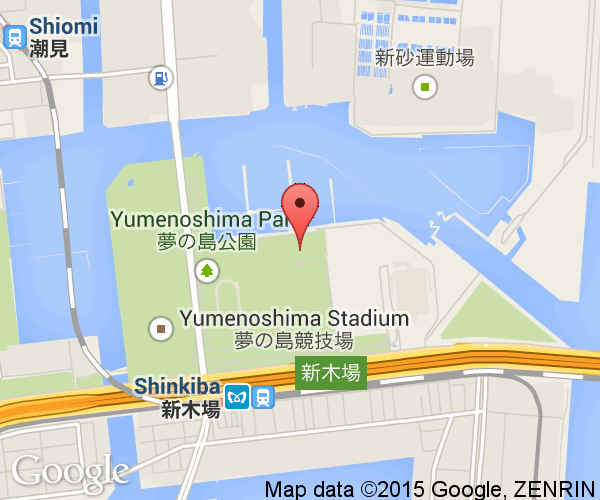 The easiest way to reach Yume no Shima is on the JR Rinkai line. Trains on this line depart from beneath Tokyo Station's other platforms. It takes about 10 minutes to reach the park. The trains also continue on to Kasai-Rinkai Park and the Tokyo Disneyland Resort. The Yurakucho Line subway from Ginza also stops nearby at Shinkiba Station (Y24).